“Call analytics” is a term that’s bandied about quite a bit in the hosted telephony world. There are a lot of different opinions as to what the term actually means. Generally, most agree that call analytics goes far beyond call tracking or reporting. Some PBX providers offer call analytics, typically as an extra add-on. Harold Mann, of Mann Consulting, is a systems integrator based in San Francisco with 24 years in the business. He said that Digium Switchvox’s call analytics have been “key” for their business. 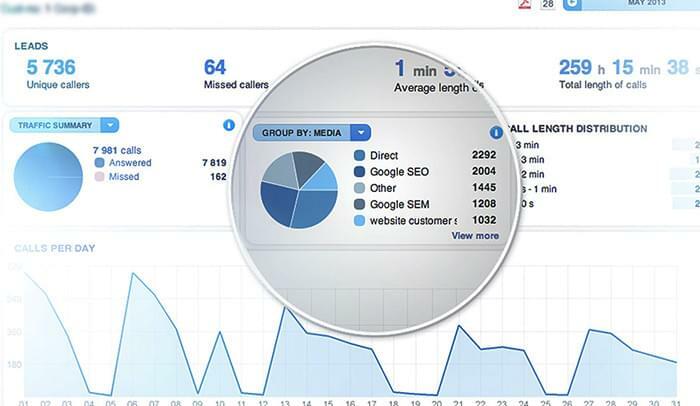 Mann likes the fact that Digium’s call analytics includes “abandoned call reports that are automatically emailed to customers, especially retail types like hair salons.” This is because these type of retailers, “base their scheduling & staffing on an adequate call-answer time and the number of abandoned calls is a crucial metric. We like that the Digium product is simple enough so their salon managers can tweak the reports as they like and get them automatically mailed, so we aren’t the bottleneck for any adjustments,” Mann said. BroadView Networks is a hosted VoIP provider that offers its flagship product, the OfficeSuite platform for analytics. It’s a cloud phone system that unifies all communications in the cloud and lets customers manage everything from one website called MyOfficeSuite, which helps with reporting and analytics. 8×8, Inc. provides its customers the option of adding to their service its extensive Virtual Office Analytics Suite. Analytics are delivered in a dashboard and provide an overview of call insight such as unreturned calls, DID calls, historical information about calls processed in specified timeframes and more. Often, businesses use call analytics data with sales and customer tracking. Some VoIP providers provide integration with CRM and their VoIP service. For example, RingCentral allows for integration with Insightly and Salesforce CRM solutions. While most PBX systems have some level of call tracking and metrics, not all include full-blown call analytics. That’s why there are a many of third-party call analytics solutions for adding to an existing PBX. Metropolis Technologies provides call reporting and analytics solutions for most hardware-based and VoIP PBX solutions. 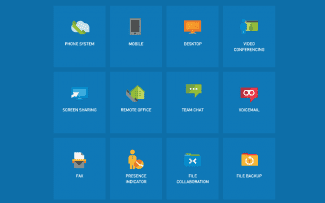 Its OfficeWatch product is a telecom dashboard for managing daily call expenses, tracking employee productivity and detecting phone abuse without taking up employee time to manage the software. CallFire is another telephony solutions provider. Senior IVR designer Bill Hughes and his team develop call analytics solutions that provide a holistic view of call insight and can be linked to Google Analytics. Terrel Bird, CEO and co-founder of TCN, a cloud call center technology solutions provider, said that what differentiates the call analytics needs between call centers from other businesses is the high volume of calls. “With such a high volume of data, contact centers have up until this point relied on high priced consultants and months of analysis to determine best practices for achieving increased productivity,” said Bird. Ellen Cahill, senior VP, marketing, AireSpring, said that it’s all about customer experience and that not all third-party call analytics solutions can deliver what call centers need. “Call center analytics are a key enabler to delivering exceptional customer experience,” said Cahill. “However, not all contact center solutions generate these metrics and communicate them in actionable ways. With AireContact, an out of the box wall board keeps the contact center apprised of their performance. Efficiency is further improved with true real-time monitoring and alerting tools allowing proactive changes for peaks and overflows.” Cahill said. Whether a business is using a VoIP provider’s call analytics or that of a third-party’s; or, if a business is a call center or not, there are some features to look for and questions to ask when shopping for an appropriate call analytics solution. Is there an ROI in purchasing a call analytics solution? Will the call analytics solution work with the existing PBX? Does the solution allow for call recording and call fraud monitoring? Does it integrate with existing business applications like CRM and Google Analytics? What is the learning curve for interpreting and understanding the call data? 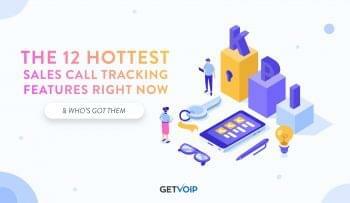 If business success depends on detailed insight into who is calling, what their interests are, where those callers are located and other key information, then it’s important to realize that call analytics is a much more powerful tool than basic call tracking and logging.